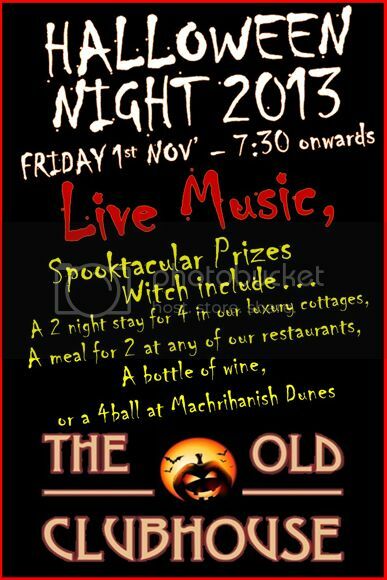 Halloween Night at the Old Club House is on Nov 1st with Adam Fortune. The night starts at 7.30pm and Adam with start playing from 9.30pm. Free buses from the Royal Hotel to the Old Club House from 7pm till the end of the night.